Courtyard is a premier quality of life and rehabilitation center for today’s senior. At Courtyard Healthcare Center, we provide high quality skilled nursing and therapy care to ensure a superior level of rehabilitation for our guests. In addition to skilled nursing services 24-hours a day, we offer a team of rehabilitation specialists, offering physical therapy, speech and occupational therapy up to 7 days a week. We know choosing a health care and rehabilitation center for yourself or your loved one is one of the most important and difficult decisions you can make. You want someone who is caring, knowledgeable, and accessible. You want someone willing to take the time to go over all of your options. If you or a loved one are in need of health care, require advanced skilled nursing services and rehabilitation, then Courtyard Healthcare Center is the choice for you. It’s this community of compassion and attention to individual needs that sets us apart as a model of quality care. 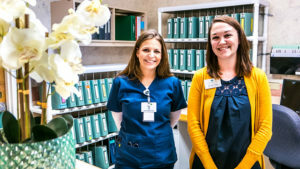 Courtyard Healthcare Center offers skilled short-term and long-term care, 24-hours a day, under the supervision of our Medical Directors or your attending physician. We provide comprehensive skilled nursing care using state-of-the-art medical equipment and progressive treatment plans promoting quality care. Contact us today to find out more about what Courtyard Healthcare Center can do for you! Courtyard Healthcare Center is dedicated to providing the best possible rehab care to our residents. We are family serving families and proud to be part of the Davis community and the surrounding areas. 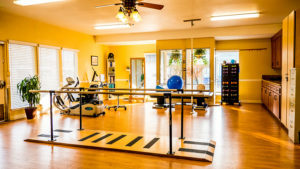 Residents at Courtyard Healthcare Center have the advantage of receiving comprehensive rehab programs for those with orthopedic, neurological, medical as well as general surgical needs. Our highly trained staff of Physical Therapists, Occupational Therapists and Speech Therapists provides treatment for all levels of ability and function. We utilize a clinical team approach in order to provide you with the skills and knowledge that may best fit your particular therapy needs. Our focus is to return you to your potential optimal health so that you can enjoy your life and chosen activities. In our “Homeward Bound Program”, our goal is to facilitate your return back home at the highest possible functional level and in a safe manner.